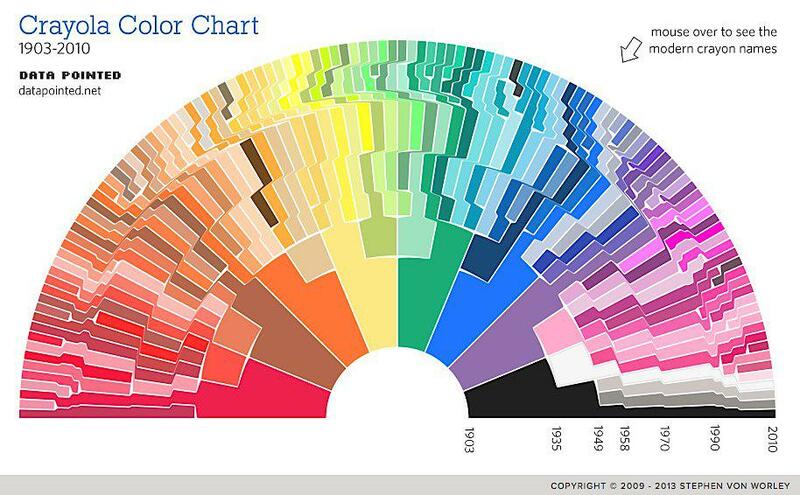 Crayola: Chart how many Crayon colors have been added to Crayola box since 1903. 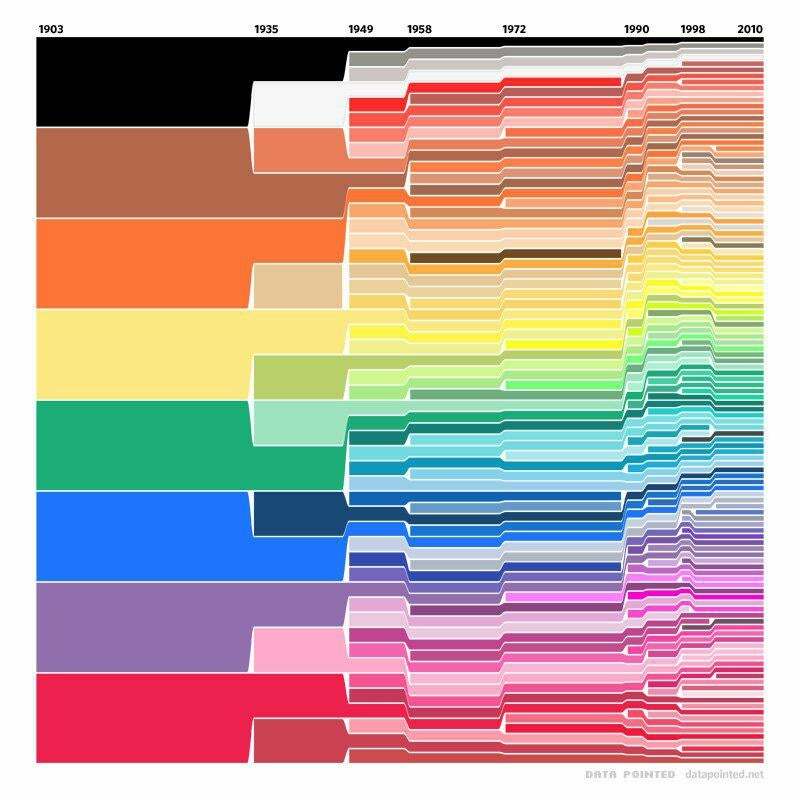 Stephen Von Worley, a visualization researcher at Data Pointed, created the visual crayon chronology with his pseudonymous friend who he calls “Velociraptor.” They used Wikipedia’s list of Crayola colors and added the standard 16-count crayon box released in 1935 for schools to create the beautiful graphic. The pair also figured out that the average growth rate of crayon colors was 2.56 percent annually, meaning that the number of colors doubles every 28 years. So by 2050, our future children could be coloring with 330 different colored crayons. You can see an interactive version of the so-called “Crayon-Bow” at Von Worley’s Data Pointed website that allows you to scroll over to see the crayon names.